Come See Our “New Home On the Range” and Kick Off the Fall Membership Drive! The Fall Membership Drive is right around the corner – Thursday, October 22 – Friday, October 30 – and to celebrate, we’re inviting you to check out our “New Home on the Range” – our new studios in Marfa! 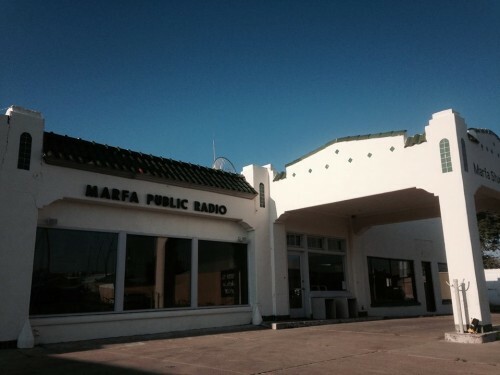 The new studios are at 106 E. San Antonio, St. in Marfa – right next door to Ballroom Marfa. We moved into the new building almost a year ago with a short time to plan and a healthy dose of West Texas DIY spirit. Since then, we’ve been steadily building out the studio – adding new furniture, building a new “Studio C” recording booth for the first time, better soundproofing our main studio, and generally settling into our new home. Listener support makes this kind of growth and expansion possible – please contribute to help us offset the cost of the move! Click here to let us know you’re coming, and please share the event on Facebook! Moving into a new building – essentially, building an entirely new radio station – isn’t easy. And when we did it in November 2014, we didn’t hold an extra fundraiser to pay for the move. We took out loans, made use of old equipment and worked with what we had. 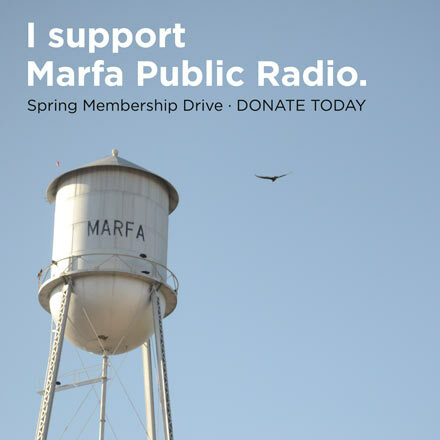 Please contribute today to support this new chapter for public radio in Far West Texas! Listener support helps us continue to grow and evolve, and ultimately, to better serve you! Please contribute now – and thanks! This entry was posted in KRTS Events, KRTS Spotlight and tagged Fall Membership Drive 2015, Listener Support, new home on the range, Public Radio. Bookmark the permalink.